In grief, suffering or despair, Bible Verses from the Book of Psalms to remind us that God is with us, his love and compassion sustain and comfort us. We know we can persevere as long as we dwell with Him and his tender care. 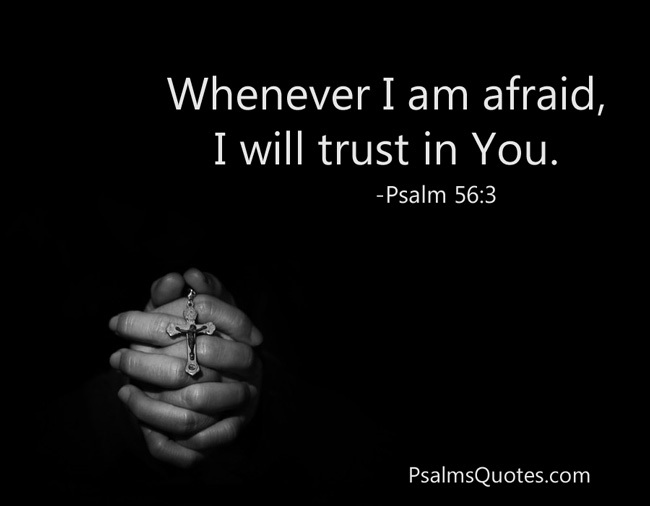 At the end of the Psalms verses are 5 more wonderful bible verses for comfort. 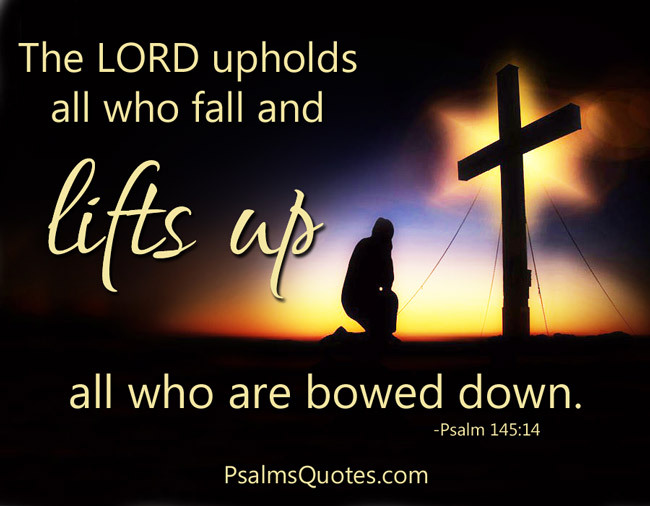 14 The Lord upholds all who fall and lifts up all who are bowed down. 1 I love the Lord, for he heard my voice; he heard my cry for mercy. 2 Because he turned his ear to me, I will call on him as long as I live. 3 The cords of death entangled me, the anguish of the grave came over me; I was overcome by distress and sorrow. 4 Then I called on the name of the Lord: “Lord, save me!” 5 The Lord is gracious and righteous; our God is full of compassion. 6 The Lord protects the unwary; when I was brought low, he saved me. 7 Return to your rest, my soul, for the Lord has been good to you. 8 For you, Lord, have delivered me from death, my eyes from tears, my feet from stumbling. 16 Turn to me and be gracious to me, for I am lonely and afflicted.17 Relieve the troubles of my heart and free me from my anguish. 5 Let all that I am wait quietly before God, for my hope is in him. 6 He alone is my rock and my salvation, my fortress where I will not be shaken. 7 My victory and honor come from God alone. He is my refuge, a rock where no enemy can reach me. 8 O my people, trust in him at all times. Pour out your heart to him, for God is our refuge. 1 The Lord is my shepherd, I lack nothing. 2 He makes me lie down in green pastures, he leads me beside quiet waters, 3 he refreshes my soul. He guides me along the right paths for his name’s sake. 4 Even though I walk through the darkest valley, I will fear no evil, for you are with me; your rod and your staff, they comfort me. 76 May your unfailing love be my comfort, according to your promise to your servant. 77 Let your compassion come to me that I may live, for your law is my delight. 3 When my spirit grows faint within me, it is you who watch over my way. 14 “Because he loves me,” says the Lord, “I will rescue him; I will protect him, for he acknowledges my name. 15 He will call on me, and I will answer him; I will be with him in trouble, I will deliver him and honor him. 50 My comfort in my suffering is this: Your promise preserves my life. 10 Be still, and know that I am God. 19 Praise be to the Lord, to God our Savior, who daily bears our burdens. 20 Though you have made me see troubles, many and bitter, you will restore my life again; from the depths of the earth you will again bring me up. 21 You will increase my honor and comfort me once more. 13 Then they cried to the Lord in their trouble, and he saved them from their distress. 14 He brought them out of darkness, the utter darkness, and broke away their chains. 15 Let them give thanks to the Lord for his unfailing love and his wonderful deeds for mankind. The lowly he sets on high, and those who mourn are lifted to safety. Do not be afraid or discouraged, for the LORD will personally go ahead of you. He will be with you; he will neither fail you nor abandon you." And I will ask the Father, and he will give you another advocate to help you and be with you forever— the Spirit of truth. The world cannot accept him, because it neither sees him nor knows him. But you know him, for he lives with you and will be in you.